Fight the Flu Season with These 5 Immunity-Boosting Foods! The colder season is upon us, which means a lot of trials & tribulations for our immune systems! So, in order to cope with that, we recommend you make yourself stronger thanks to these immunity-boosting foods. Food has the power to keep you healthy. Especially if you’re well informed and know how to make your body stronger. The following immunity-boosting foods are great for all seasons, but especially during the time when the temperature drops and the colds and flu start to ravage your family and coworkers. When that happens, you might feel tempted to resort to all kinds of pills and syrups, but food can be an important ally in this struggle. Of course, if you have strong, overpowering symptoms, do not delay making a doctor’s appointment. It contains some compounds called allion and allicin, which have clear antiviral effects. Garlic can certainly help minimize the impact the virus can have on your body. 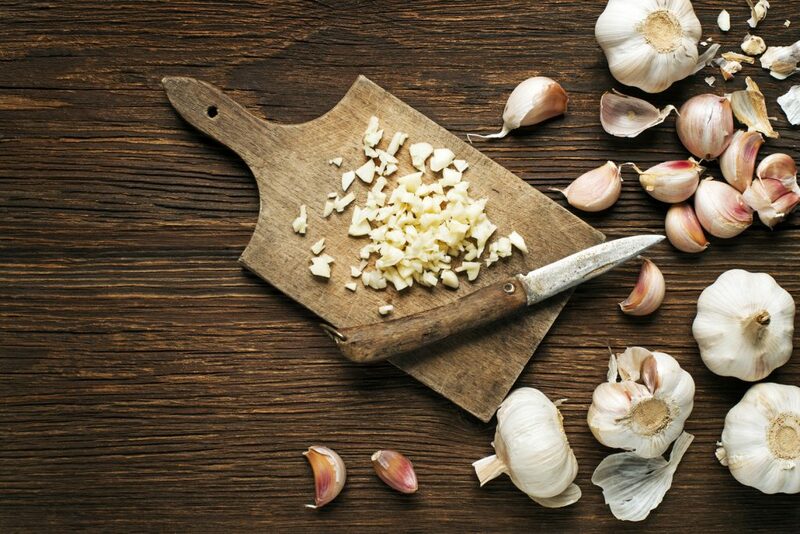 In order to get the most of it, it’s best to chew a raw garlic clove every 3-4 hours. If you’re not a huge fan of the taste or the dreaded garlic breath, you can cut the cloves into a few pieces and just swallow them. If you still don’t like raw garlic, add some pieces to a soup, salad, or stir-fry. Because it still contains some sulfur compounds, which also fight microbes. Raw garlic is a disease-fighting machine. It’s great for your immune system because it’s a good source of zinc, which is important in the development of white blood cells. These defend your body from sources of disease. The protein in beef also supports your body in building antibodies and fighting off infection. If you’re a vegetarian or don’t eat too much meat, you can get your zinc from fortified cereals, yogurt, and milk. Yes, your mom was right when she fed you chicken soup whenever you had a cold during your childhood. It actually wards off viruses. The soup raises the temperature of your nose and throat, which makes it an unwelcoming environment for viruses who prefer cool and dry habitats. It also has protein groups with antiviral activity. The soup has to be homemade, though, not out of a can. 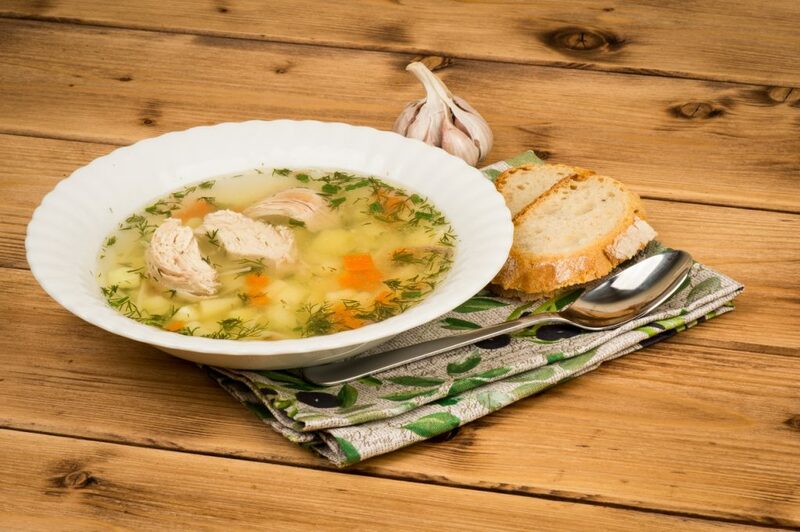 Chicken soup can be mixed with raw garlic for great immunity-boosting effects. They also contain allion and allicin and are best consumed raw every few hours. They are also rich in selenium, a trace mineral which helps reduce inflammation and stimulate the immune function. Onions are the vegetable with the highest concentration of selenium and therefore the best source. If you’re not a fan, try some French onion soup. Or add them to a stir-fry. Turmeric, cloves, and cinnamon have plenty of antioxidants, which help improve the function of the immune system. The optimum dose is about one teaspoon of spices every day, in order to stay healthy. So you can add some cinnamon to your coffee or oats, for instance. Or add a pinch of turmeric to your breakfast omelet. When it comes to cloves, you can add them to an apple pie or pumpkin and squash dishes, because the flavors complement each other.